Our firm is occasionally consulted by a party against whom a judgment of foreclosure has been entered. Prior blog posts have discussed the foreclosure process in detail. Among the last actions to be taken in a foreclosure case are the issuance of a judgment of foreclosure and the actual foreclosure sale. This post will discuss the few options available to a foreclosure defendant at this point. The issuance of a judgment in foreclosure by the Supreme Court of the County in which the property is located usually occurs at two points in the foreclosure litigation. The first point would be if the defendant fails to answer the initial foreclosure Summons and Complaint, and the lending institution is granted a judgment by default. If the default was inadvertent, and the defendant has a reasonable excuse for not answering, as well as a meritorious defense, it is possible for the defendant’s attorneys to file a motion to vacate the default judgment. Another point in the litigation allowing for a foreclosure judgment would be when the plaintiff moves for summary judgment and the motion is granted by the Court. Once a final judgment is submitted to the Court and signed by the Judge, the foreclosure process is in its final stages. The plaintiff must advertise a public foreclosure sale in a local newspaper for four weeks prior to the sale, and then conduct the sale, usually at the Supreme Court Courthouse in the county in which the property is located. How can the sale be stopped by the defendant? There are several ways to avoid the actual foreclosure sale. The first is to have the defendant file for bankruptcy. A bankruptcy filing stays all pending litigation, including a foreclosure sale, until the Bankruptcy Court has had an opportunity to hold a hearing to decide the disposition of the property in question. Therefore, a bankruptcy filing will delay the sale for a period of time, but the sale could still occur at a future date by order of the Bankruptcy Court. Of course, filing for bankruptcy is a serious step, and will adversely affect the credit of the filer. The filer may find it difficult to obtain credit in the near future, as bankruptcy filings remain part of one’s credit report for a period of seven (7) years. Another option is to sell the property in question prior to the sale date. This only makes sense when there is equity in the property. Equity means that the property can be sold for a figure greater than the amount owed to the foreclosing lender (as well as any other debts attached to the property, such as a home equity line or second mortgage). For example, a foreclosure judgment is entered. This judgment would include the total amount owed to the lender, including interest and attorneys’ fees. Hypothetically, let’s say this amount is $375,000.00. The property owner now finds a buyer willing to pay $400,000.00 for the property. Prior to the foreclosure sale, the property can be sold, and the foreclosure judgment paid in full. 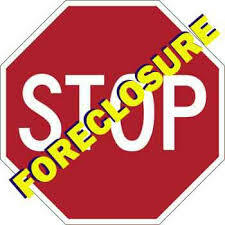 The lender must legally accept payment of the judgment and terminate the foreclosure lawsuit and pending sale. The seller will receive $25,000.00 from the sale, less their expenses, such as transfer taxes and broker’s fees and commissions. In such a case, our attorneys would contact the attorneys for the lender, and advise of the pending sale. Most likely, the lender will agree to temporarily postpone the sale so that the property can be sold, and the foreclosure judgment paid in full. In order to do so, the lender’s attorneys would require a copy of the signed Contract of Sale, as well as proof that the downpayment has been made and is being held by the seller’s attorney. Our firm has represented many clients who are the subject of foreclosure proceedings, as well as clients selling their properties. We suggest that readers facing a foreclosure judgment contact our firm and act promptly, so that any and all options can be exercised prior to the foreclosure sale.